The Lord of the Rings trilogy has delighted millions of fans worldwide in book and movie form. 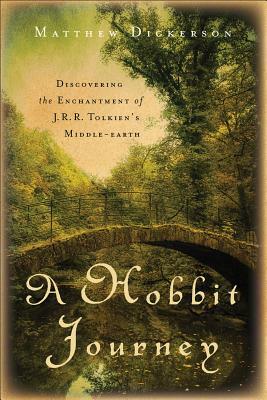 With the theatrical release of the two-part film "The Hobbit "slated for 2012 and 2013, attention will once again turn to J. R. R. Tolkien's classic works. In a culture where truth is relative and morality is viewed as old-fashioned, we welcome the chance to view the world through hobbit eyes: we have free will, our choices matter, and living a morally heroic life is possible. In this engaging and thought-provoking book, Tolkien expert Matthew Dickerson shows how a Christian worldview and Christian themes undergird Tolkien's Middle-earth writings and how they are fundamentally important to understanding his vision. This revised and expanded edition of "Following Gandalf" includes new material on torture, social justice, and the importance of the body. Matthew Dickerson (PhD, Cornell University) is a professor at Middlebury College in Vermont, a writer, and the director of the New England Young Writers' Conference at Bread Loaf. His previous works include "From Homer to Harry Potter"; "The Mind and the Machine"; "Narnia and the Fields of Arbol: The Environmental Vision of C. S. Lewis"; and "Ents, Elves, and Eriador: The Environmental Vision of J. R .R. Tolkien."